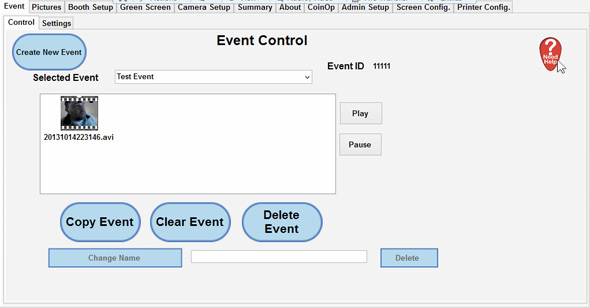 The Event Control tab allows us to Create New Event’s by clicking the Create New Event Icon as well as selecting previous events to view images (which will show in the white box). When viewing these images you can select the images and also Copy clear or delete an event. 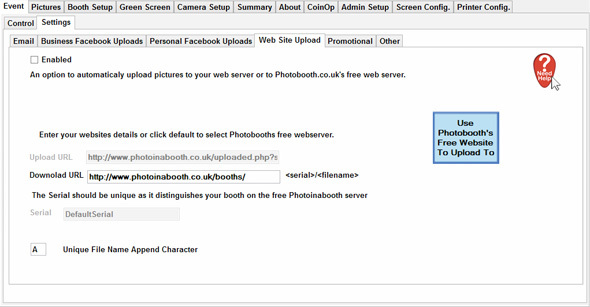 To allow the users to email the pictures* Click to Enable This in the tick box. * Requires an Internet Connection to work. 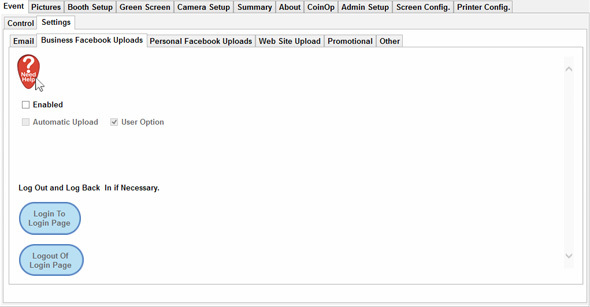 Event Settings has various options to setup your events before starting to use the booth. 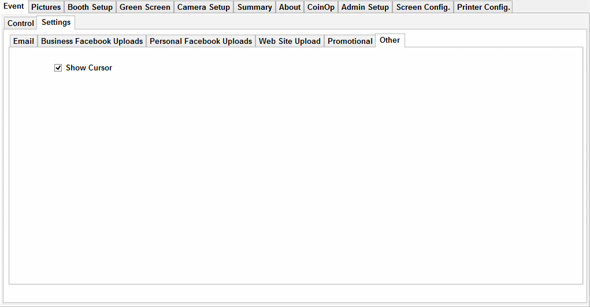 In the Facebook tab you can set how the user interacts with Facebook. 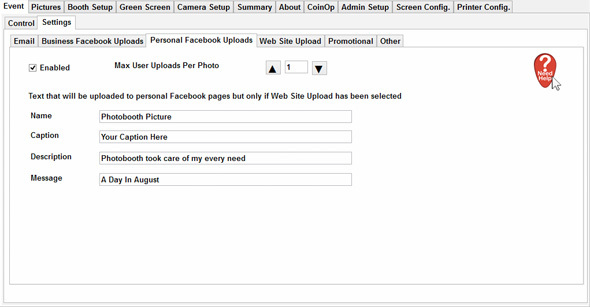 They have the option to upload to a business page (automatically after selection) or to upload to facebook individually if they choose. After selecting these tick boxes the Login options are highlighted allowing you to login to facebook for Business Pages and setting it up before starting the event. Website Upload allows you to upload your images to a web page for viewing. Please contact us for Website uploads to our or your own server*. * Requires a hosting account and domain name. The Promotional Attract mode Cycle Rate is the speed at which the opening Graphics (when in Coin Op Mode) displays on refreshes on screen. 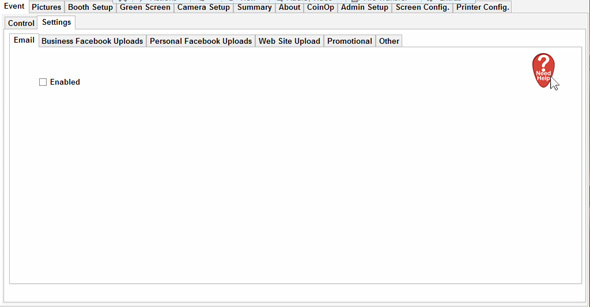 This simply allows you to hide or show the cursor on screen when using the Software with TouchScreens.